Woo, how exciting. (One of) you could become the next James Lovelock. Well, I'm already half-way there, nominatively speaking. Although by that argument, I'm also half-way to being an ex Secretary-General of the UN. Whereas jules may have to satisfy herself with being a horse-prancer. Oh - can I have a horse then? :-) Great! Or halfway to being a key member of the judiciary. Good luck back in Blighty. Wikipedia is always up to date. Best of luck on the next phase! Thanks for highlighting that graphic, BTW. 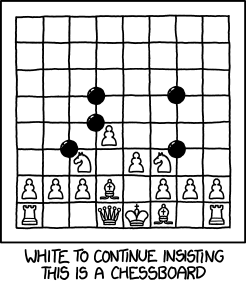 Every Sunday I host a go club followed by a chess club, and this will come in handy (although those unfamiliar with both games may not get the joke). You also have my best wishes in your future endeavors which I am sure will be as estimable as your past ones. I assume the blog will continue!